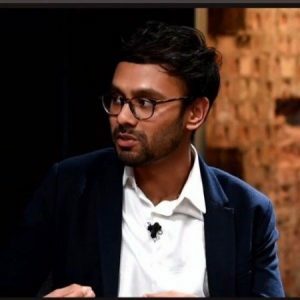 We interviewed one of our ViewVo Experts, London based journalist Shafi Musaddique, to find out what it’s really like changing careers and becoming a journalist. Shafi is currently a reporter at CNBC. He has previously worked at the Independent, the BBC and The Economist. His career in journalism started off at local newspapers in North London and he has had worked published in Prospect Magazine and the Daily Telegraph. Having changed career himself – formerly in the arts and culture world – he knows what it’s like to career change and transition into a completely new field. If I knew then what I know now, I’d have saved myself years of time. I have done so many odd jobs; tutoring; being a production assistant and then I fell into doing marketing and communications for museums (V&A, Leyton House). I did it for a while and it was OK, but I have always had one dream job and that is to be a journalist. I am working as a freelancing journalist and have done for many years now. I’ve worked at the BBC, the Independent and am now at CNBC. It just felt like I was in the wrong place, but I think I wasn’t sure about whether or not anyone would take me seriously as a journalist as I hadn’t done a journalism degree or course, so I lacked confidence. If I tried and failed, it would be better than never trying and always wondering. It was two things – one I just needed more money, but also because I knew I wanted to be a journalist so I decided I just had to give it a go. If I tried and failed, it would be better than never trying and always wondering. In the end it was coming to crisis point. I needed to be able to pay my bills and lead a somewhat “grown up” life. I have known since I was little that I wanted to work in radio journalism. Of course there are ups and downs but there is no other job I think I would rather do, so in a way I am living the dream. Journalism can be very isolating. And the steady income is up to me now. I started to be a lot more focused with my writing. I really targeted editors through Twitter. I read up on how various publications want their articles written and wrote and wrote and sent and sent. Had I had the financial means from the beginning I would have done a course in journalism after university, or better still, studied journalism whilst at university. I do regret wasting time doing all the odd jobs that I did, even though I knew what I wanted to do. It was just wasteful. And I doubted myself so much. That is also just wasteful. I do think it is advisable to do some sort of course if you have the financial means. It helps you start focused and I think it helps with your self-doubt. Well, I sort of didn’t, which is why I have not done any journalism courses for example. But because I didn’t have a stack of money it did also push me to be a lot more focused when the going got tough as it were. This is not really what I would recommend. I do think it is advisable to do some sort of course if you have the financial means. It helps you start focused and I think it helps with your self-doubt. 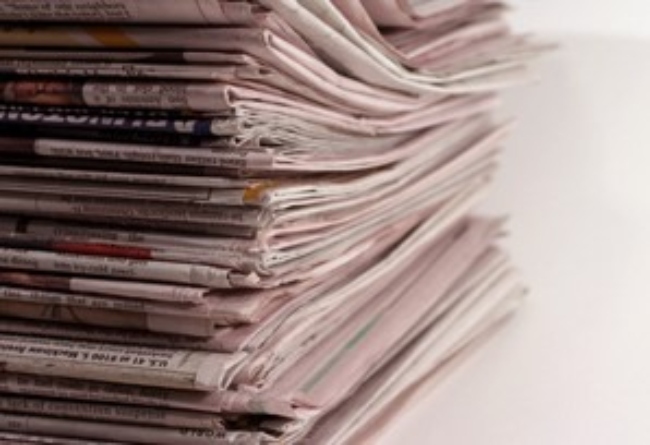 The difficult thing is of course that printed journalism is a shining field. But for many people, myself included, it was the doubt. The doubt that I was not good enough at this. With my last £40 in my bank account I did a Pitching Course, how to pitch the same story in various ways to different editors. That really pushed my writing skills up a number of notches. There really are a whole host of great resources out there. ViewVo – if I knew then what I know now, I’d have saved myself years of time which is exactly what ViewVo is trying to do. Do not let your own doubts stop you from doing what you love. Oh wow, so much. Having been in the industry for a while now I feel like I know what my mission is, beyond just being as good a journalist as I can be. I feel like I need to pave the way for other ethnic minorities in the industry, because there are still not that many. But mostly, with the benefit of hindsight, I would say: do not let your own doubts stop you from doing what you love. First of all: write! Write, write, write! I would also try to know some of the tools that journalists use these days. It’s not just about the writing anymore. It is really useful to have some digital skills; many jobs are advertised as Multimedia reporter. Know some video editor tools. Learn to explore different platforms. I would also try to be creative; think outside the box when writing a story. Be open, be curious, be personable and be yourself. Use your own experiences as inspiration. Have a nice photo of yourself when applying for jobs and on your LinkedIn page etc. Don’t be afraid to sell yourself; be your own cheerleader! How can Shafi and ViewVo help you? Journalism is a highly competitive field but what makes you succeed isn’t down to the degree or place you study, it’s how you learn and adapt. Having the chance to speak to someone as experienced and helpful as Shafi is an incredible opportunity. Shafi can offer those wanting a career in journalism the chance to discuss how best to enter the industry and, more specifically, which organisations may be best suited to you. 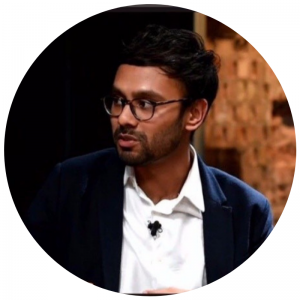 Find out about the learning opportunities Shafi can offer you through ViewVo. Click here for more details.